To us, Kinder Surprise eggs are a tasty chocolate treat with a fun little toy inside. But to Americans, they’re contraband!!!! 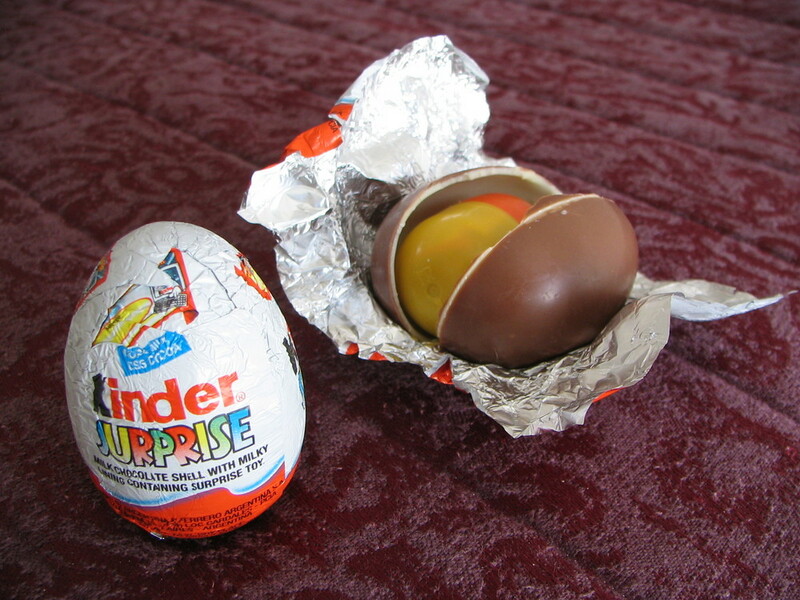 The U.S. Customs and Border Protection agency reminds travellers that they are not permitted to bring Kinder eggs into the States. And if they do, the treats will be confiscated. Why are they banned?!?! Could you be hiding something in the egg?? Well, that’s kind of the reason! The U.S. Food and Drug Administration classify them as “a confectionery product with a non-nutritive object imbedded in it.” Ohhh la la! On what seems to be a better reason to band them, the U.S. Consumer Product Safety Commission says the “surprise” toys fail to meet their small parts requirements for children less than three years of age. Health Canada has deemed the toys, which are difficult for small children to take apart without the help of an adult, safe. The eggs have been banned for 15 years south of the boarder, yet last year, U.S. Customs and Border Protection seized 25,000 Kinder Surprise eggs!! Oops! I think it’s just a way for the boarder patrol who are stuck at work on Easter to have fun doing a big Easter egg hunt!! Easter Eggs DO Grow on Trees!